The cardinal rule of gap year travel is this: protect your money. While being left stranded and penniless in a foreign country may lead to some memorable moments, it is also frustrating, dangerous and a nightmare to rectify. To keep yourself and your funds safe, follow these simple rules and you'll never go hungry again! Before leaving for your gap year, come up with a reasonable estimate of the amount of money you will need to bring with you. If you have booked a placement via an established agency, they should be able to give you further details. Also remember to include in your estimate, living costs such as food, utilities, laundry and communication (telephone, Internet, shipping packages, etc. )Entertainment costs such as sightseeing, touring, meals out, drinks and entry into clubs should also be included in your estimate as should travel costs such as train, bus and taxi fare, admissions fees and souvenirs - don't forget the cost of clothing and supplies too. Avoid any local currency confusion by checking up on exchange rates before you leave home. A quick call to your local bank will give you background information on what the local currency will be worth and how you can quickly calculate the cost of items in terms you will understand. When you hit the ground running, remember to do so with your cash safely tucked into your pocket - or better yet, a money belt. These contraptions may be perennially popular with pensioners, but just remember that people use them because they work! When you carry money, it's always better to divide your cash and credit cards into different locations (front pocket, coat pocket, shoes, etc) and keep your wallet in one of your front pockets at all times. 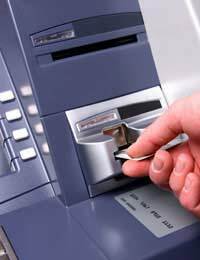 Guard your ATM and/or debit card and shield the keypad when you enter your PIN number. Do not carry cash in a backpack or back pocket as you might not realise it's been taken. Sew a small money pocket into the cuff of a trouser, sleeve of a shirt or even a bra. Years ago accessing money abroad required elaborate planning. Today, with so much banking carried out electronically anyway, accessing your cash is considerably easier. With so many options, there is no doubt that at least one of them will work no matter how remote your location! Most foreign exchanges take commissions so you will lose a percentage of your money for every transaction. Limit the number of times you change money to limit these losses. Search for banks and dedicated foreign exchange facilities which can prove the basis of their exchange rates, and you can be reasonably certain that you are not receiving counterfeit bills. If you choose to withdraw cash from your bank whilst abroad you can access your money via an ATM/cash machine within your network (Cirrus, Plus, Maestro etc.) Most machines will only access current accounts and a foreign transaction fee may be charged. Whilst abroad you also have the option of withdrawing money from a local bank branch, if doing this be prepared to show photo identification for withdrawals. Investigate the possibility of obtaining a bank draft in order to pay for larger purchases so that you do not need to carry extra cash. When carrying and/or accessing money abroad, use common sense. Never carry your PIN numbers or passwords with your cards, make sure to use cash machines near well lit areas, use banks with proper security, and never let anyone observe your transactions. Avoid transactions with costly fees or interest rates, keep the phone numbers of bank or credit card help lines handy, and most of all stick to your budget. Have fun, be safe and you're gap year will no doubt be the trip of a lifetime!